Founded in 1958, Alvin Ailey American Dance Theater is recognized by U.S. Congressional resolution as a vital American “Cultural Ambassador to the World.” Ailey’s artists have performed for an estimated 25 million people in 71 countries on 6 continents. 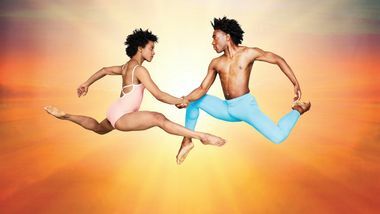 Led by Robert Battle, Ailey’s performances celebrate the human spirit through the African-American cultural experience and the American modern dance tradition. 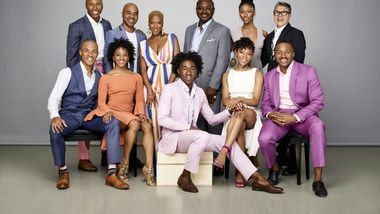 New York – April 4, 2019 – Capping off a joyous 60th Anniversary celebration that reached from coast to coast, Alvin Ailey American Dance Theater returns to Lincoln Center for the Performing Arts for seven performances at the David H. Koch Theater June 12 – 16, 2019. Helmed by Artistic Director Robert Battle, the season features a world premiere by Darrell Grand Moultrie – his debut for the Company – as well as recent premieres by some of today’s most revered choreographers. The engagement also includes several rarely seen works by Alvin Ailey, an Ailey Spirit Gala benefit celebrating The Ailey School’s 50th Anniversary, and a special evening honoring the legendary Carmen de Lavallade. 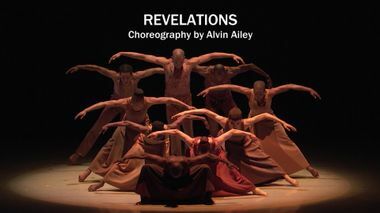 Alvin Ailey’s must-see masterpiece Revelations is the uplifting finale of each performance. 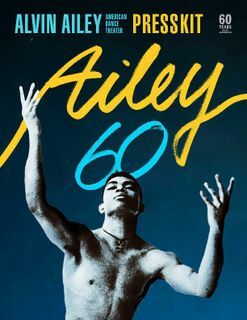 UPDATED January 31, 2019 (NEW YORK CITY) After an acclaimed five-week holiday season in New York, Alvin Ailey American Dance Theater will continue its Ailey Ascending 60th Anniversary celebration during a North American tour which kicks off during Black History Month with a February 1st opening in Toronto. On February 5th, a weeklong engagement at The Kennedy Center launches with the 20th Annual Washington, D.C. Gala Benefit to support Ailey's D.C. programs, including the creation of new works, arts-in-education activities, and scholarships to talented young area dancers to attend The Ailey School in New York. Other stops on the 21-city tour include Miami, Atlanta, Chicago, Los Angeles, and Boston, culminating with a Mother’s Day performance in Newark on May 12th. 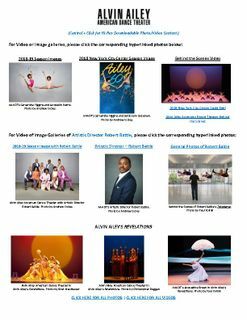 (Washington, D.C.) January 15, 2019 – On Tuesday, February 5, 2019, Alvin Ailey American Dance Theater’s 20th Annual Washington, D.C. Opening Night Gala Benefit kicks off the opening of the renowned Company’s engagement at The John F. Kennedy Center for the Performing Arts. Following the 7pm opening program on the Opera House Stage – featuring Rennie Harris’ powerful Lazarus and Alvin Ailey’s masterpiece Revelations – Artistic Director Robert Battle will lead dinner and dancing on the Terrace Level of the Kennedy Center in celebration of Ailey’s 60th Anniversary. The New York Times - Special Sunday Insert: Uplift! By Zadie Smith. When I was about 12, the Alvin Ailey American Dance Theater came to town and my mother took me to see them. It was a trip for just us two, and I was a little reluctant, suspecting some species of racial uplift, which I felt I could receive far more easily by staying in my room, listening to Movie Love and watching Cameo's "Word Up" video on repeat. I was suspicious of racial uplift in general. The way it always seemed to point in the same direction, toward the supposed "higher" arts: the theater but not the television, opera singers but not beatboxers, ballet dancers but not body-poppers. No Jamaican mother ever ran into a kid's bedroom, waving a cassette, crying: "Have you heard 'Push It'? It's by some brilliant young ladies from New York!" Yet I couldn't imagine anything on the legitimate stage meaning as much to me as Salt-N-Pepa's bump and grind. Alvin Ailey American Dance Theater’s Rehearsal Director and Guest Artist Matthew Rushing discusses his ties to the Los Angeles area, how he started dancing and the programming for Ailey’s engagement at the Dorothy Chandler Pavilion April 3-7. There were not one, but two anniversaries to toast when the Alvin Ailey American Dance Theater sashayed into the District. Case in point: The 20th annual DC opening night gala also celebrated the company's diamond jubilee. And what a soiree it was.